If you personally know me you will know I take my hair seriously!!! I'm always using my heat iron due to having very thick and lioness type hair if not straightened! When using a heating iron or curler on my hair I want to ensure its protected. 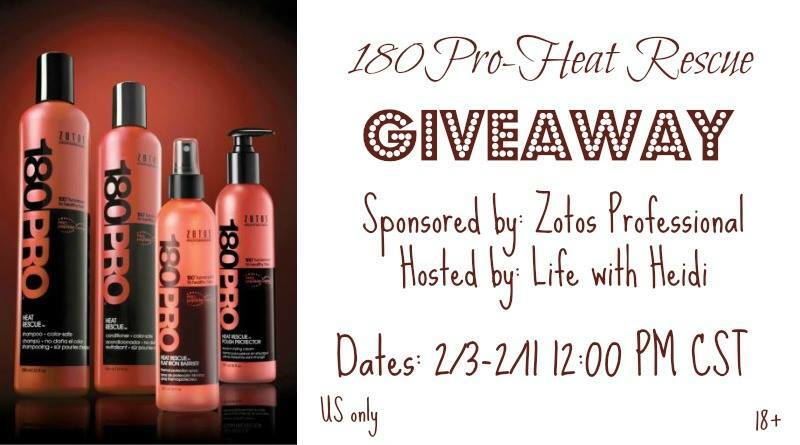 I personally use shampoo and conditioner by 180 and now I'm off to try out the 180 Pro-Heat Rescue! 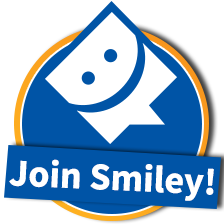 Giveaway Details Must be 18 years old or older US residents in order to win. Dates will be 2/2/17-2/11/17 (at midnight CST) Winners have 24 hours to claim their prize via email. 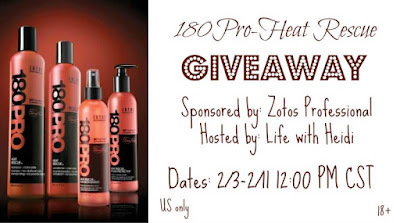 Zotos Professional is responsible for shipment of the prize not the individual blogs helping promote this event. Disclosure: The opinions expressed are my own and may differ from yours. Strategically Thinking is not responsible for prize shipment and didn't receive any compensation for this post. For questions concerning this giveaway or to host your own giveaway please contact heidi@lifewithheidi.com.